Here is a map displays territory of Kazakhstan, of Russia. 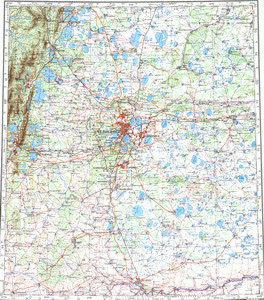 On this map huge city Chelyabinsk free download. city Miass marked. city Ozersk marked. city Troitsk presented. city Kopeysk free download. On this map city Chebarkul' download for free. Displayed city Kyshtym for Garmin. On this map city Korkino marked. You can find here city Yuzhnoural'sk free download. Displayed city Yemanzhelinsk marked. You can find here town Kasli marked. Displayed town Plast presented. You can find here town Karabash for Garmin. On this map town Novosineglazovskiy for Garmin. You can find here town Roza free download. town Gornyak download for free. On this map town Krasnogorskiy download for free.